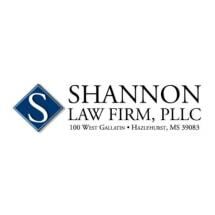 Shannon Law Firm has established a reputation as one of the best personal injury law firms in Mississippi. The firm has an outstanding record of success not only in Mississippi, but in representing clients across the nation and around the world. The firm's focus is on litigation on such issues as asbestosis, welding rod injuries, pharmaceuticals, and motor vehicle accidents. In 2001, Jim Shannon of Shannon Law Firm was recognized by Lawyers Weekly USA as one of the "Top Ten National Lawyers" of the year. Also in 2001, this firm was recognized by the National Law Journal as one of the Top 50 "winningest" law firms in the United States. We have tried numerous cases resulting in compensation for our clients. This reasonable compensation represents justice for innocent people injured through the negligence of others. We believe that winning cases of this type will result in changes to company policies and standards which will result in future benefits for many people. It is our policy to only represent individuals that are truly injured and not to file frivolous law suits. Our firm is small enough to give individual attention to clients, yet large enough to handle the most complex cases. Whether we are representing one person from our hometown of Hazlehurst (Copiah County), just 40 miles south of Jackson (Hinds County), Mississippi, or a multitude of clients across the nation, we attempt to give personal attention and keep all clients informed as to the progress of their case.